The idea for this recipe I have to credit to my friend Nina. 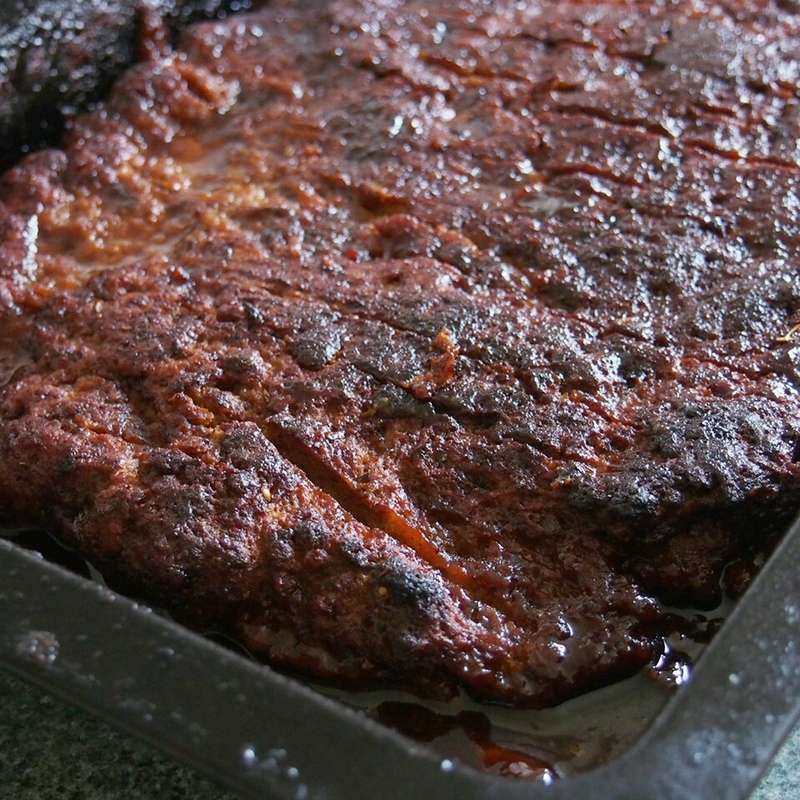 We were at a friends BBQ last weekend and she was talking about different ways of cooking seitan, and explained how she would add BBQ sauce to the gluten flour and bake it. This just sounded incredible, so when I got home on Monday I decided to try to make this myself for my sister’s birthday dinner. It resulted in just about the best seitan I have ever tried. So much flavour, not too chewy or tough. Its soft and melty but not spongy… I just love it. I have since the been passing it around all my family members, vegan, veggie and meat eaters alike and everyone feels the same. I have been eating it carved straight off the loaf for sandwiches, sliced into strips and fried until crispy for fajitas or cubing it up into salads. I have kept it in the fridge for up to 5 days and its still just as good, which is awesome if you want to make it to eat over a week and take for lunches. I really think you will like it just as much…. as long as your not gluten free. To make the dough, mix up dry ingredients from vital wheat gluten flour through to dried basil in a large mixing bowl. In a seperate bowl or jug mix up the BBQ sauce, veg stock, maple syrup, olive oil and soy sauce. Pour liquid into dry ingredients and mix together using your hands. Knead mixture for a few minutes and make sure you don’t have any dry patches left. Add a couple more tablespoons of stock if needed for dry patches. Let dough rest whilst you make up the marinade. Whisk all marinade ingredients in a large bowl or jug until well combined. 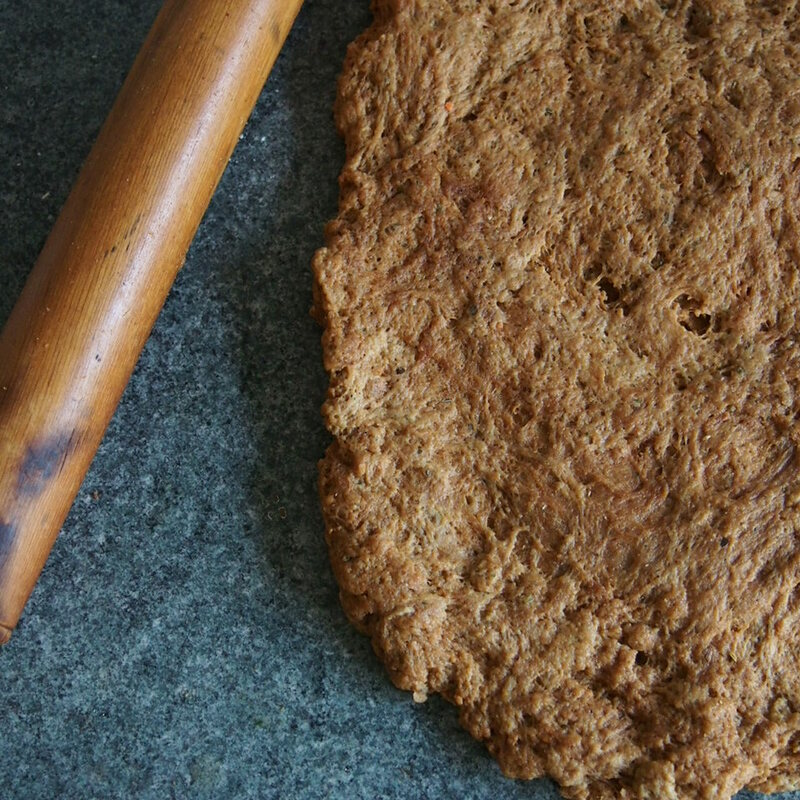 Turn the dough out onto a flat surface and flatten slightly. Massage the top with a little olive oil to stop the rolling pin from sticking then roll out until its roughly ½ to 1 inch thick and a 9×12 inches rectangle shape. 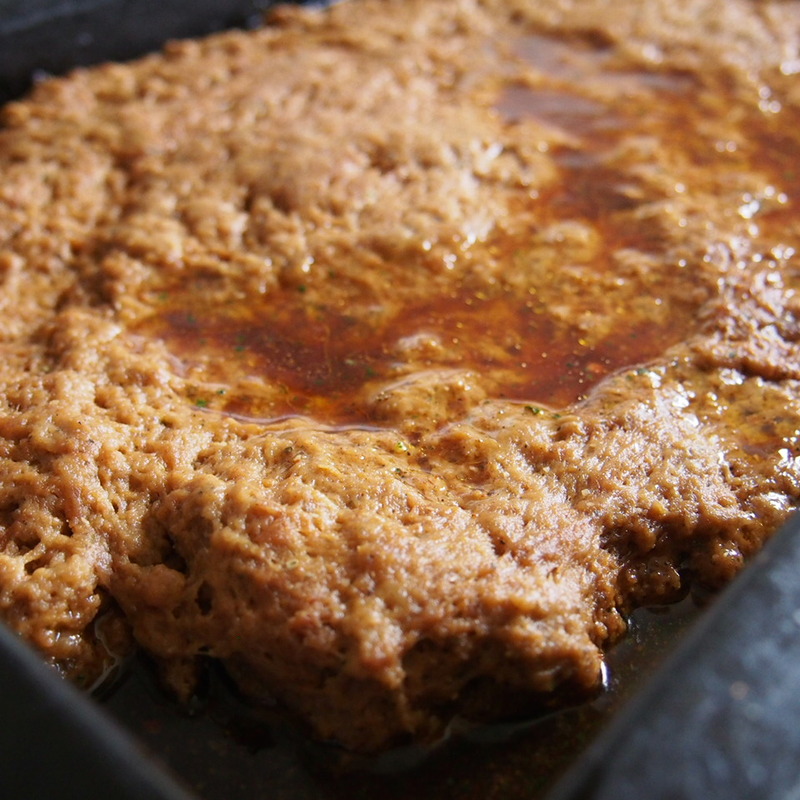 Pour about 1 cup on marinade into a large roasting dish or high sided oven tray. Lay rolled out dough on top and then cover with remaining marinade. Bake in the oven for 1 hour. After 30 minutes of cooking time check there is plenty of liquid and add up to 1 more cup of vegetable stock if it seems lo ike it may dry out or burn. This is one of my all-time favorite vegan recipes. It always turns out well and has pleased (& surprised) many nonvegan friends. One of my favorite things to do is cube it and put it in a warming tray with additional BBQ sauce to serve as an appetizer on a buffet. So, so delicious! Yes, all. Seitan freezes really well. If you slice it up before freezing you can easily throw in to a wok or frying pan to heat up from frozen too. OMG! I have made this twice this week! The first time as ribs and the second time we sliced it off the loaf for sandwiches and cubed it for fried rice! The flavors are incredible! I did try it with the hot sauce and it was VERY hot for taste buds but it stop anyone from devouring it! I LOVE LOVE LOVE this recipe! I’m going to be making it again today! Thank you so much for this great recipe! 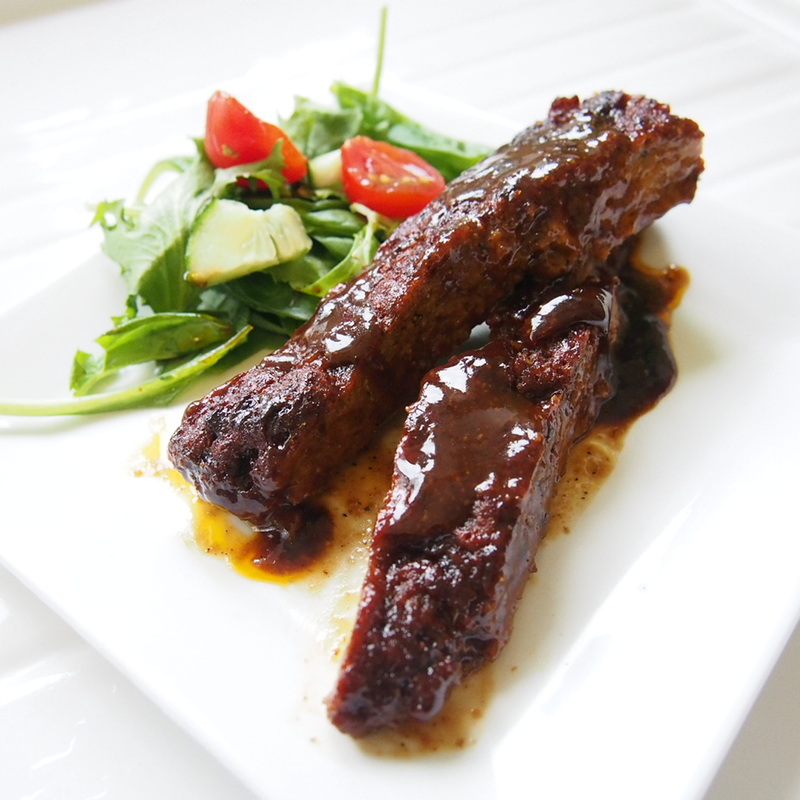 Delicious mouth watering ribs. I added garlic, onions and chilies to the marinade…yum! Hi Josephine, I’d really like to try this recipe out it looks amazing! I came across it on the Food Monster app and tracked your blog down. One question, how many does this serve? Thanks so much! I made this and it was incredible!!!! 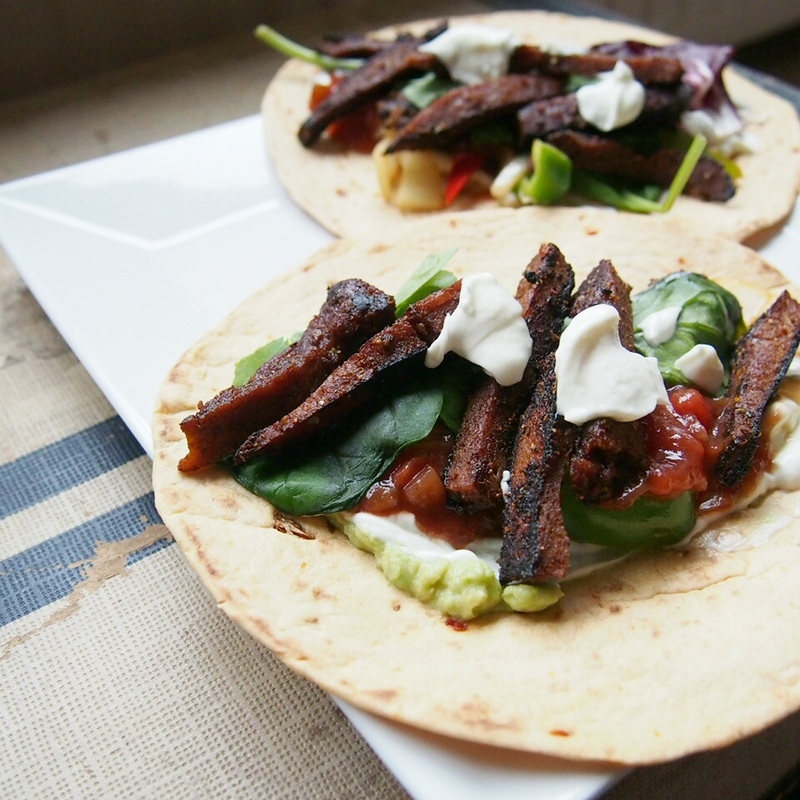 Have also tried your other seitan recipes (last night made the chickenless burgers) and all turned out fab. For anyone reading this…give it a go, you won’t be disappointed! This looks great! Definitely going to have to give it a try. This looks amazing. Wanted to stop and say hi fellow Vegan Mofo-er…. Thanks. Its really worth it for how much you get out of it! I hope you like it.